I thought since I blogged about the uber expensive Benefit Refined Finish Facial Polish the other day I would share with you something thats a little more budget friendly. I think when it comes to skin care there's a lot of trial and error. Sometimes products just don't work well with your skin and it's taken me some searching to find a moisturiser that I'm happy with. Especially because my skin is a bit of a pain. I have a whooole post coming up on that soon. 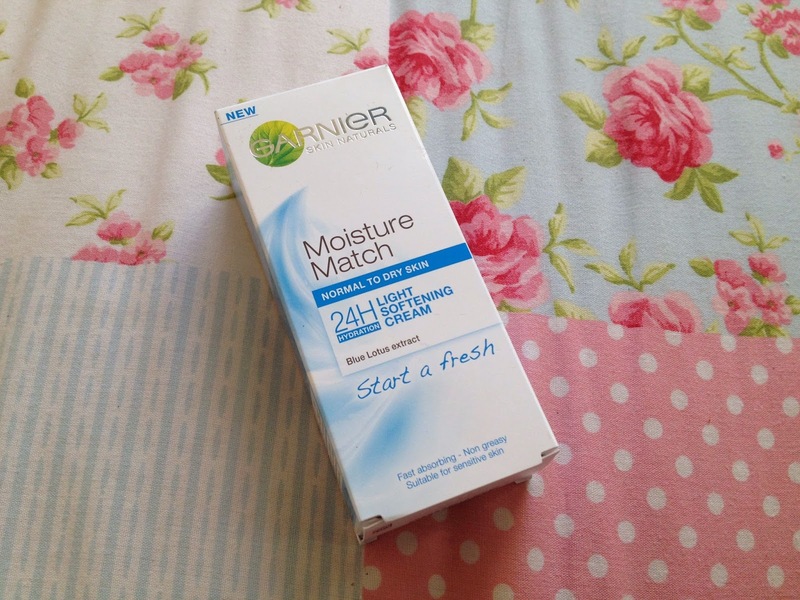 'Moisture Match' by Garnier is a range of five different moisturisers tailored to match specific skin types. I purchased the 'Normal to Dry Skin' one as it seemed to be the one that best matched my skin. I did consider going for the 'Combination to Oily Skin' one since I have an oily forehead but I figured since the treatment I use for my skin dries it out a tiny bit I'd be better off going for 'Normal to Dry'. For how cheap it is I've been pleasantly surprised by this moisturiser. 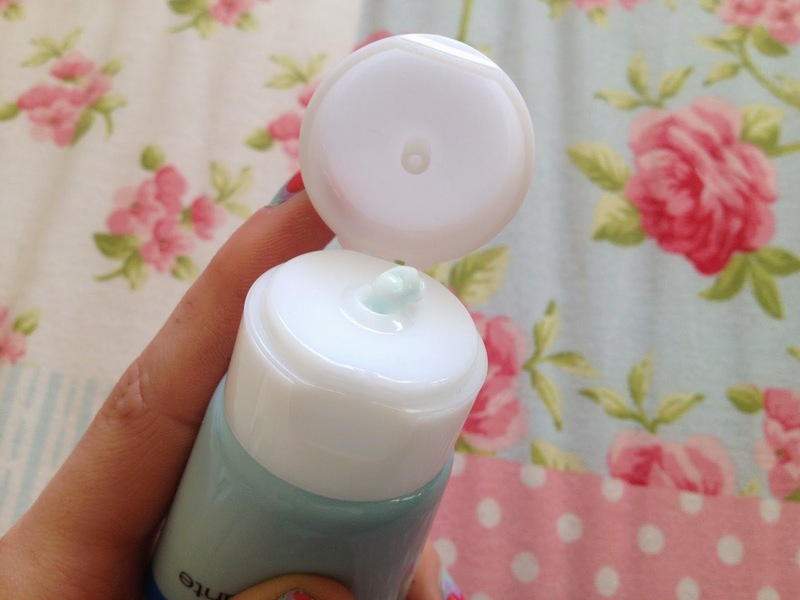 It has a nice simple powder blue packaging which matches the product beautifully. I'm a sucker for attention to detail. It dries into your skin instantly. Some products say it absorbs fast but this actually does which is a great change because there's nothing worse than being in a rush and having to wait for your moisturiser to dry in before you can apply your make up. Although it's heavily scented it doesn't linger on your skin - thankfully. It's a sickening scent, I don't quite know how to describe it but I really don't like it and would prefer if it didn't have a scent to it at all but the positives out weigh this one negative. My skin always feels really soft after i've applied this too. Not oily or heavy just nice and soft. I feel like its really hydrating my skin. I drink 2ltrs of water a day so my skin is pretty hydrated from the inside anyway but you really do need that extra something on your skin I've found. It claims to hydrate for 24hrs but I've found that to be a little far fetched. You are better off applying morning and night so really every 12hrs or so. Overall I really like this moisturiser and I will definitely be repurchasing when I run out. 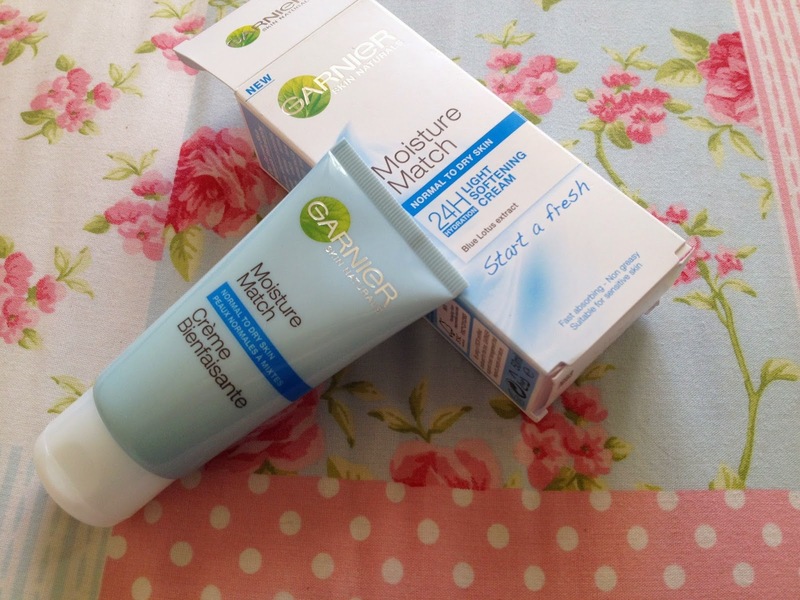 Have you tried any of the 'Moisture Match' moisturisers? Comment below.